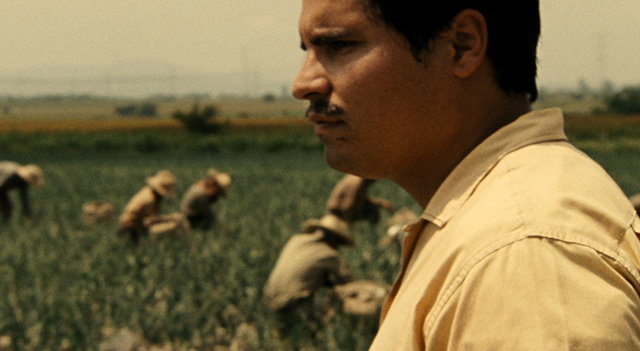 CESAR CHAVEZ was long overdue for a movie bio when this one showed up in 2014. On one hand, the timing would seem right, as the increased Latino population and role in the United States is no longer a sideline issue, and conservative elements are straining to find ways (usually clumsy, frequently miserable) to ‘manage’ the changed demographic reality. On the other hand, waiting this long resulted in a slew of younger hands with little or no dirt under their fingernails to attempt the telling, so it comes off rather more dutiful than passionate. It’s a decent enough history lesson but just a middling success as a drama. Zorro a fictional creation, and Simon Bolivar belonging to South America, with Villa & Zapata consigned to Mexico, Latino-Americans were left out of the melting pot’s array of cinematic heroes, apart from the occasional entertainer who made it big. 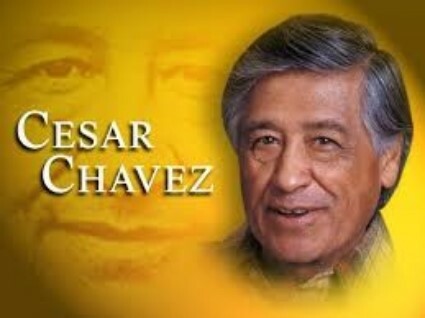 Cesar Chavez was the real deal, an earth-shaker from the 60s, whose tireless attempts to organize, represent and defend the migrant underclass who got food to the nations tables while breaking their backs for pennies earned him a place alongside Martin Luther King in the battle for justice and dignity. It also earned him the enmity of Nixon, Reagan and their foul minions, as well as the expected brutish backlash from those lower on the scale. Tough row to hoe, indeed. 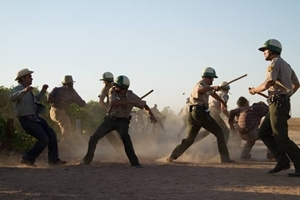 In directing, Diego Luna got the look of the period (the movie focuses on the years ’62-’75) down, much of that by filming, ironically, in Mexico, where there are still areas that resemble California as it did back when. 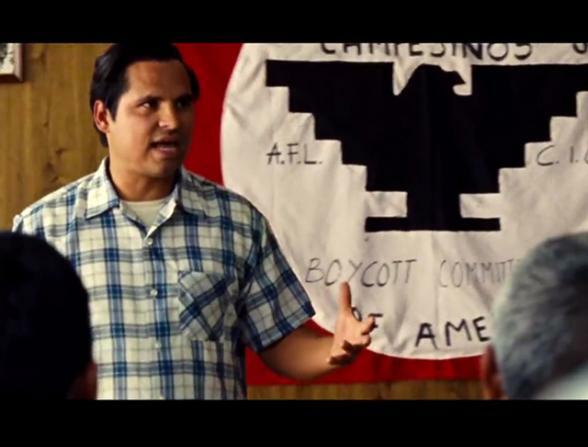 Michael Pena does a good job in the lead, and there are able supporting gigs from America Ferrara, Rosario Dawson (de-glammed), Yancey Arias and Jacob Vargas. The Anglo bad guys are ably put over (rather better than the good guy counterparts–maybe it’s just the extra actor’y kick from being a villain) by John Malcovich, Michael Cudlitz (quite good as a nasty sheriff) and Mark Moses. Jack Holmes does a decent impersonation of Bobby Kennedy. 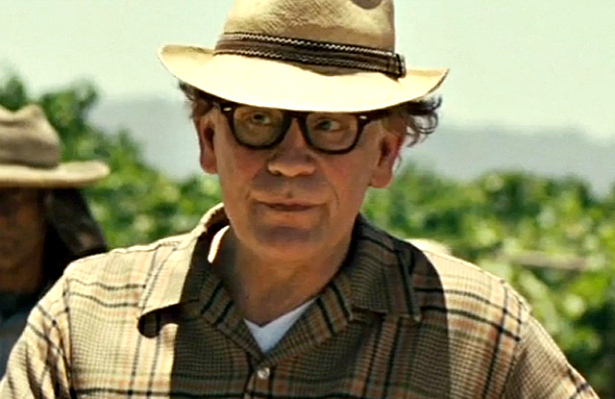 The movie is respectful, a bit ponderous and rote in presentation over its 102 minutes. 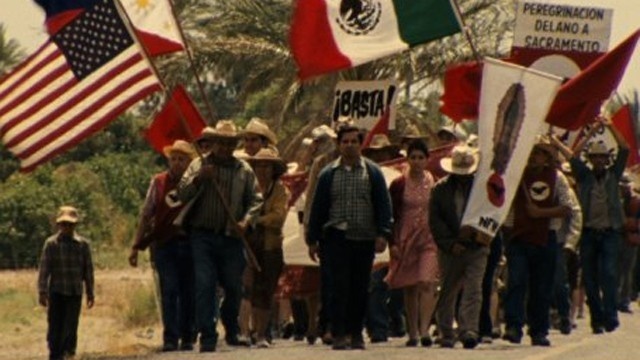 Chavez was a quiet revolutionary, and unlike the cities, the fields didn’t burn, so the drama would tend to lean to the low-key, but Luna and his writers needed to do more to fire the blood. The most effective images come from the lined faces, gnarled hands and stooped bodies of the extras portraying the oppressed laborers. Small-scaled film cost $10,000,000 but brought back only $6,700,000. It was lost in the shadow of Selma, a likewise safe and underwhelming take on a charismatic man in a tough place at the right time.